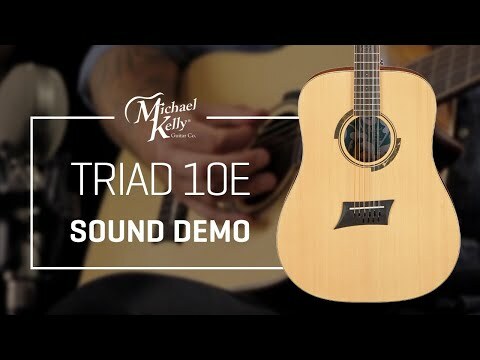 Triad 10E, 10 String Acoustic Guitar | Michael Kelly Guitar Co. The active amplification system by Fishman® includes an onboard control for volume and one for tone. These are mounted inside of the soundhole for easy access, and this avoids the need to cut a hole in the side of your guitar, maximizing performance. There may be no peers to the Triad 10E. In addition to the exotic woods and top shelf electronics, what sets this guitar apart is the 10 strings. 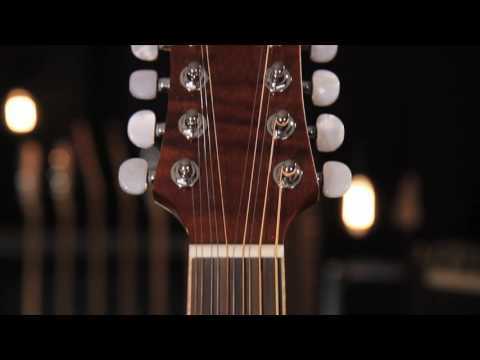 Contrary to traditional 12 string guitars, the 10 string set up is comprised of doubling the first, second, third and fourth strings. This provides a level of clarity, the option of better articulation and enhanced playing range all while retaining that thick and special 12-string type of tone. Plug in and play your Triad 10 thanks to its active Fishman electronics system. The under saddle bridge captures the full 10 string tone. You can control the volume and adjust the tone with two onboard controls, located in the soundhole. Discrete, but very easy to use and all without any holes cut into the side of the instrument. 10 string configuration. It includes doubled strings on the first, second, third and fourth strings. The E and B strings are tuned to the same pitch while the doubled G and D strings are tuned an octave apart, respectively. 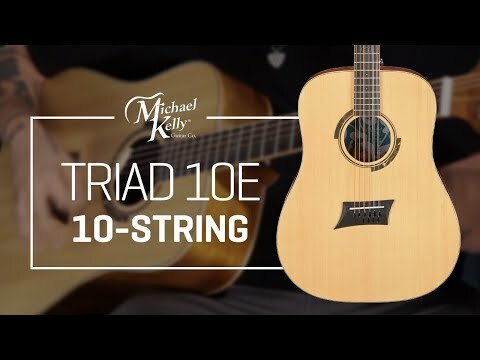 With 10 strings instead of 12 the Triad 10 has a traditional headstock in size with fewer tuners, resulting in a more balanced guitar. performance-oriented. We knew that you would want to play your new MK for hours and hours, so we crafted a neck just for you. Each one is machine milled for consistency based on the specification shown here.